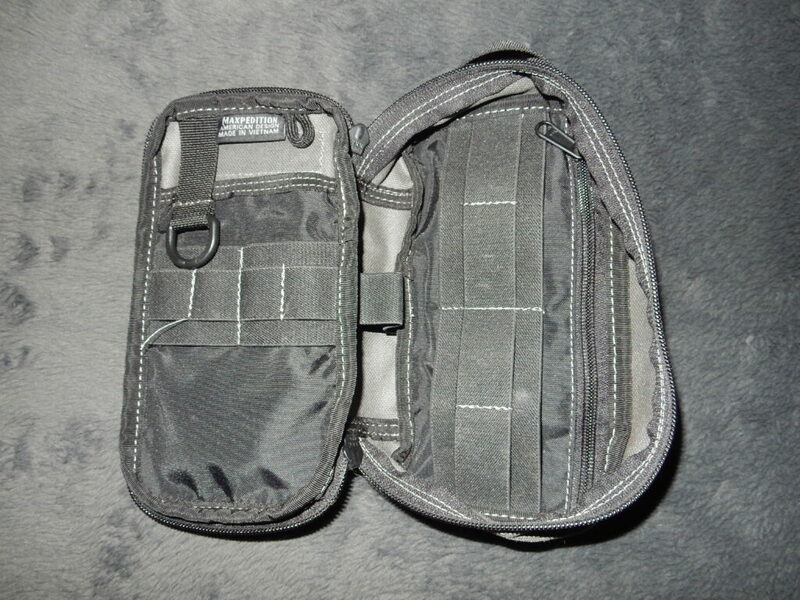 MAXpedition started this line in 2003 with a single pouch that was small enough to fit into the cargo pockets of tactical pants yet big enough to hold a complete EDC kit. It had lots of elastic loops for internal organization for small parts and could be connected to PALS webbing. On the outside it had a velcro panel for a patch and a mesh pocket. 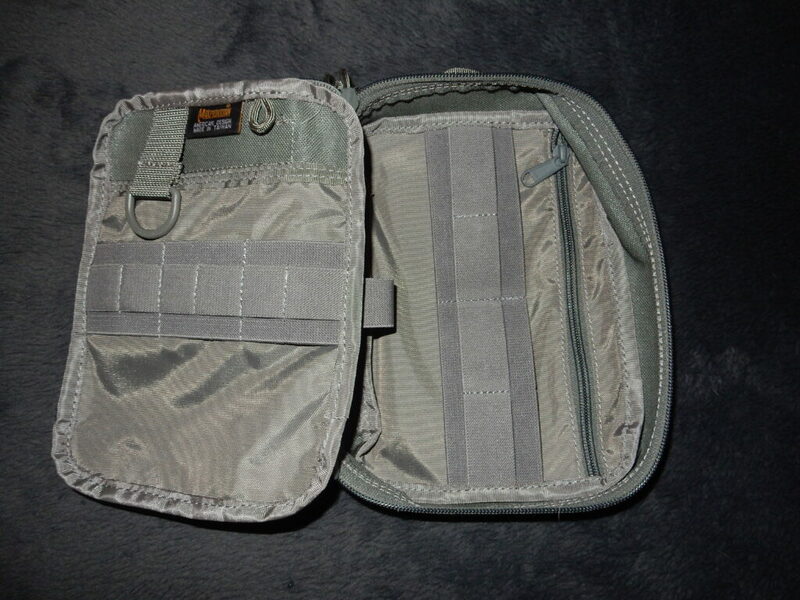 This organizer must have hit the right buttons because over the year they came out with more and more pouches like this in different sizes. I use one myself as my EDC pouch. 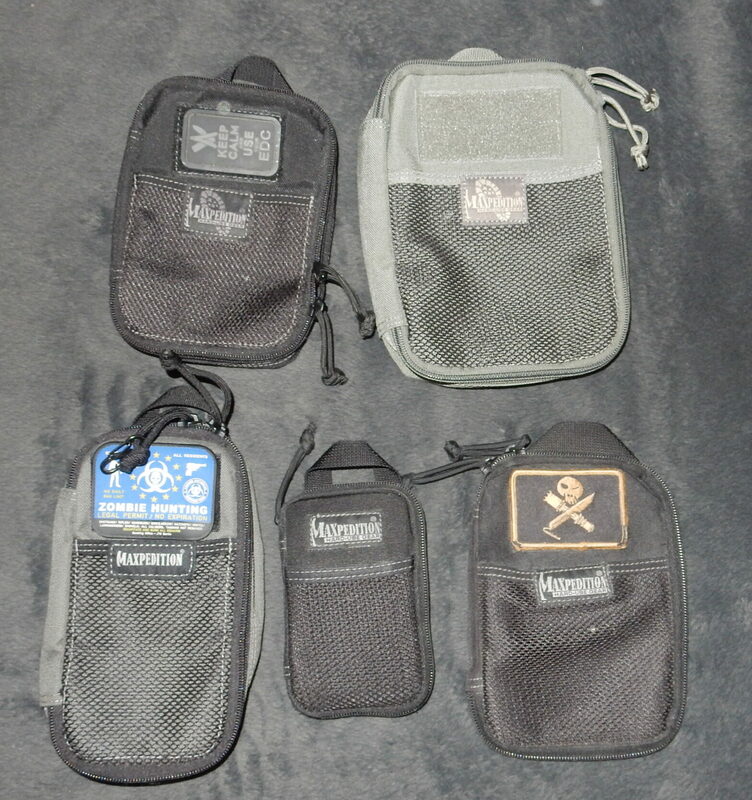 I was asked which one would fit a certain kit, so here is a short overview over most of the pouches of this line. 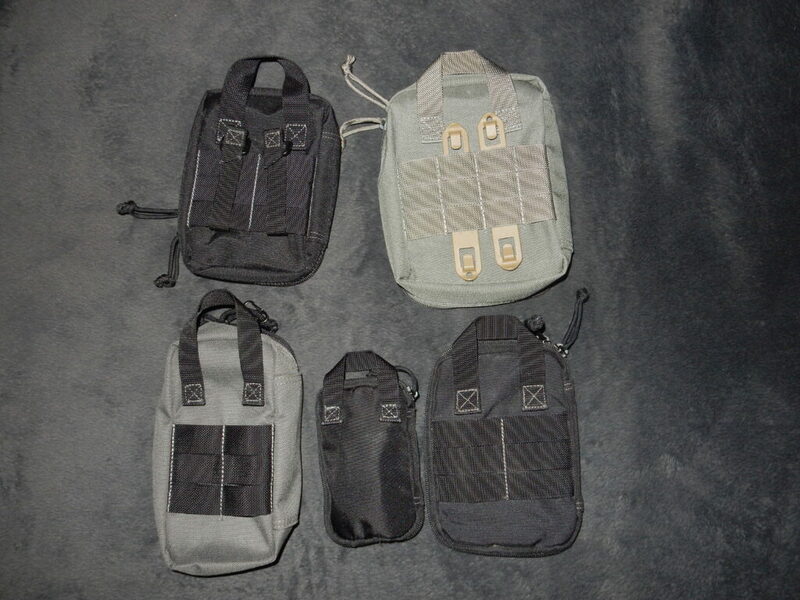 You can get it from maxpedition.de or click the links below to order them from amazon. The smaller ones are really flat but they “beef up” when you stuff them with items. As you can see on the pictures, the bigger ones are thicker even when empty. You can use them for fairly big items but they will only fit into really big pockets on pants. Better use the PALS webbing or put them into your bag or smock. 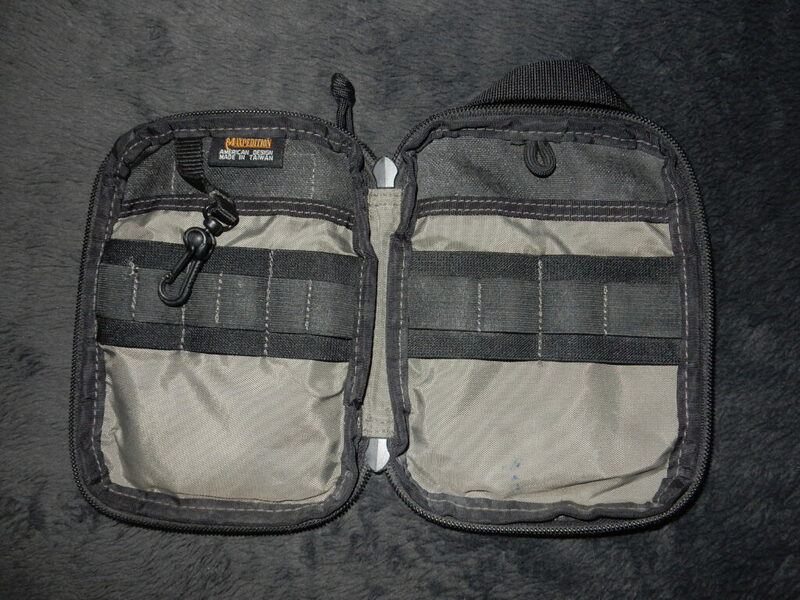 The “right side” (when open) of the bigger ones (Fatty, Skinny and Beefy) has the elastic loops aligned vertically not horizontally and they have an extra loop on the inside of the back as well as a zipper pouch instead of the small slot. Beefy and Skinny have a small loop and a D-ring where you can mount lanyards. Micro, E.D.C. and Fatty have small carabiner for keys and the small loop. 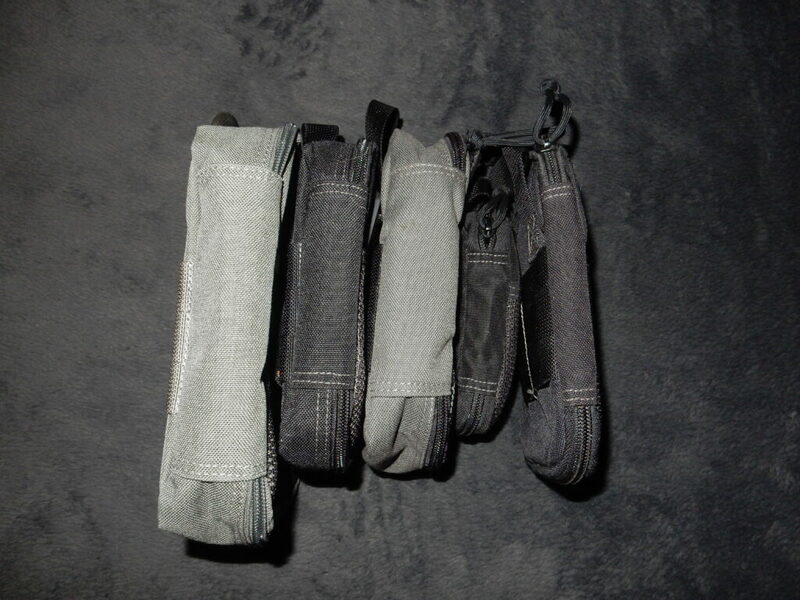 The small black one is the “Micro Pocket Organizer“. 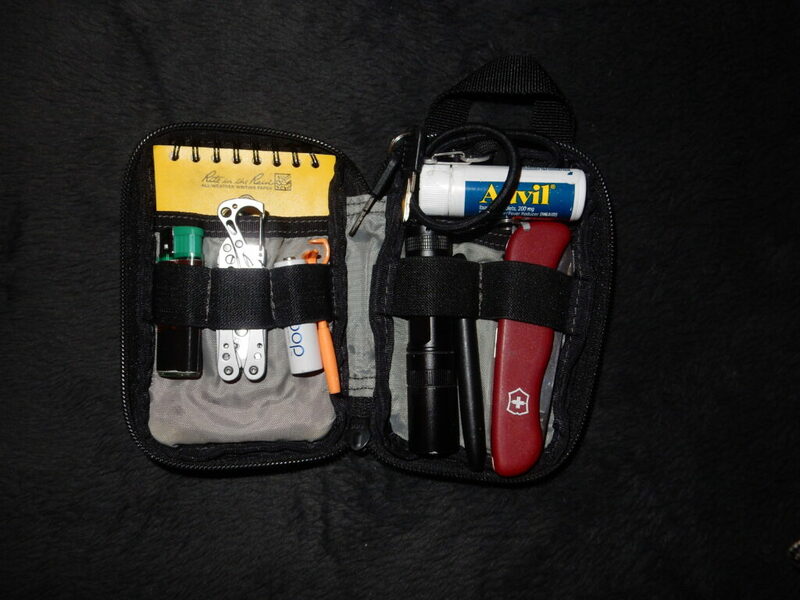 As you know, I use it for my own EDC and it fits perfectly into the side pocket of a MAXpedition Jumbo or Mongo. It’s the only one of the series without PALS webbing, because it’s just too small. For the same reason it doesn’t have a velcro panel for patches. The slightly bigger one is the pouch the line started with. The “E.D.C. Pocket Organizer“. There is an old tacticalforum.de patch on this in the pictures. 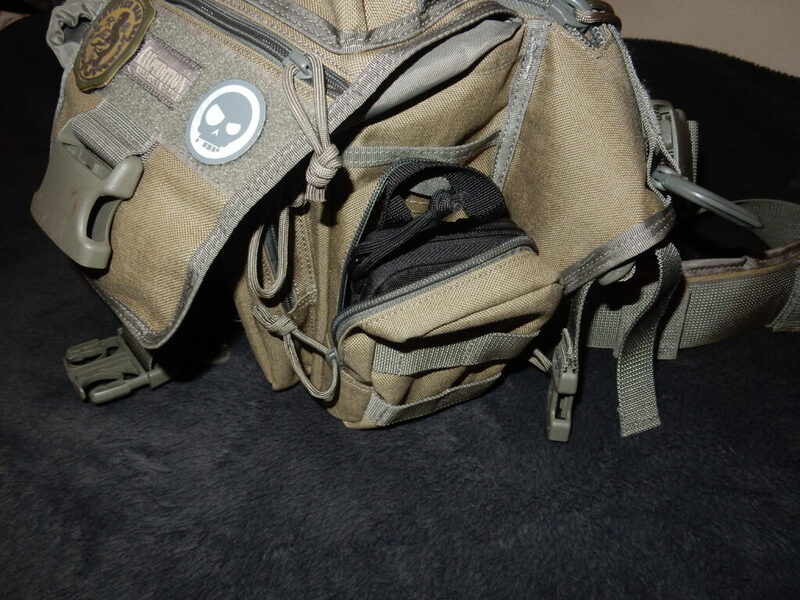 The longer one in gray with the zombie hunter patch is the “Skinny Pocket Organizer“. Despite its name it’s quite a bit bigger than the beforementioned -it’s just not as wide as the other ones. I used to use this as a smoking pipe pouch which is a perfect use case for it. The medium sized black one with the “keep calm” patch is the “Fatty Pocket Organizer“. 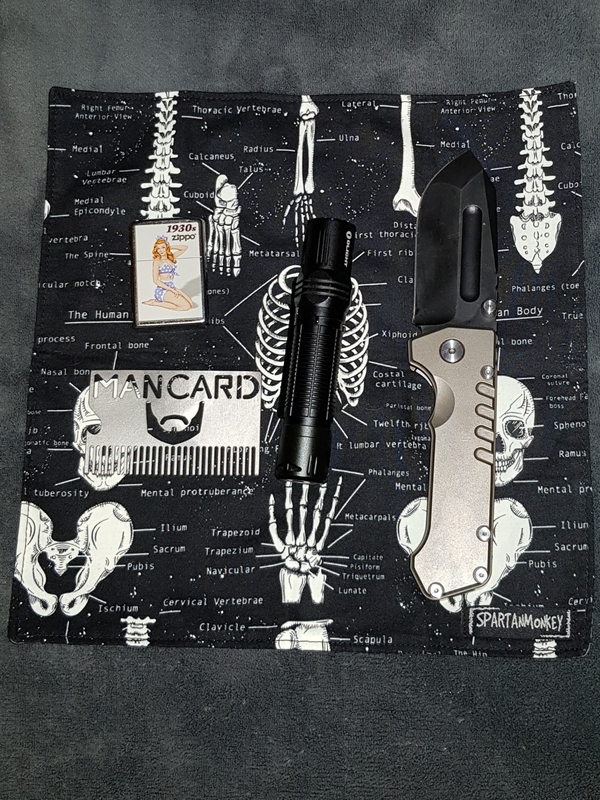 I tried to combine my EDC pouch and my IFAK into this single pouch. I succeeded with putting all the stuff into it but it was so stuffed it didn’t feel right, so I changed back to my “two-pouch-approach”. The huge one in foliage without a patch is the “Beefy Pocket Organizer“. This one is huge and you might not be able to put it into any cargo pockets. It’s 4 channels of PALS wide but you can fit lots of gear into it. 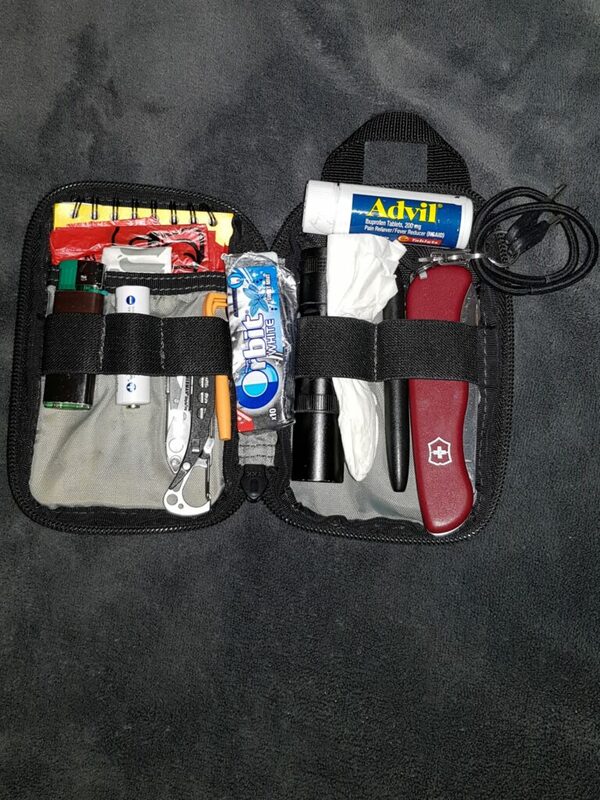 There is another one, the “Chubby Pocket Organizer” which I don’t own. It’s mostly targeted on carrying a concealed handgun which is not legal where I live so I don’t have any use for it. I placed links to some shops on this post. Some are advertisments, some are affiliate links. Read more about this on my links page. 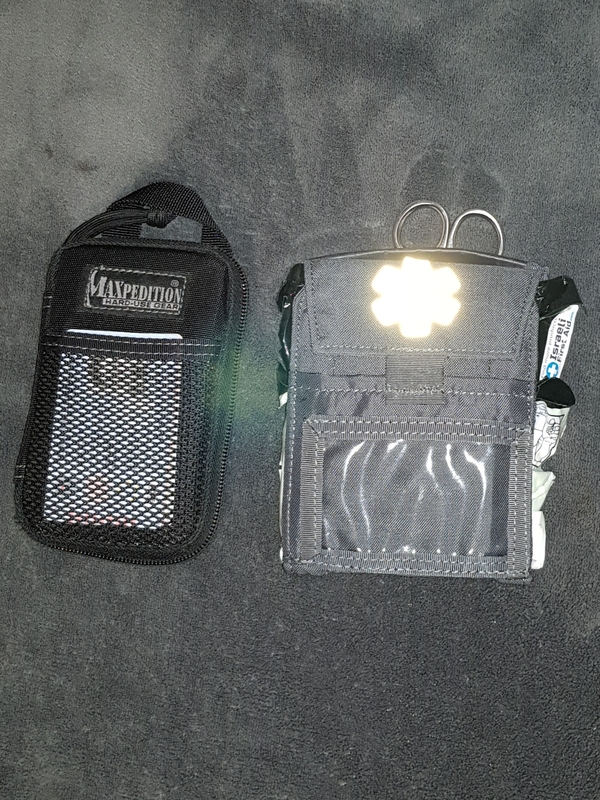 Besides my keys and my smartphone I try to always carry at least two pouches: One is a small first aid kit which I will cover in the next post and the other one is what I call my edc pouch. The main purpose of this part of my kit is to have items that have proven to be reliable and useful. I keep them always in the same pouch so I’m used to the setup and I will easily find what I’m looking for if I need it. Many of the things in the pouch are mere backups for other things I carry. e.g. I always have a fancy/big/tough knife and a high power flashlight in the cargo pockets of my pants. But if they get lost or they don’t prove to be as reliable as I thought, there will always be a knife and a flashlight in this pouch that will just work. Due to its nature I very rarely use the items in the pouch. Its contents almost never changes. 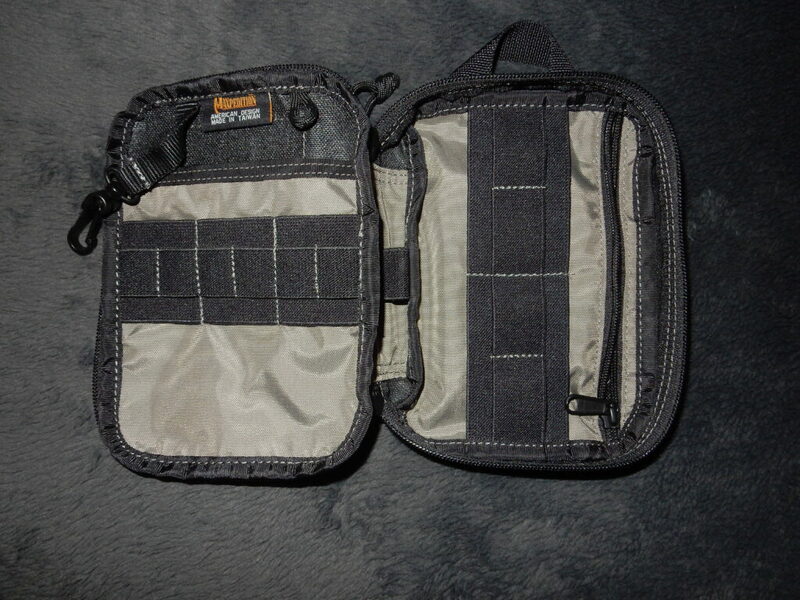 This pouch is a MAXpedition micro pocket organizer. 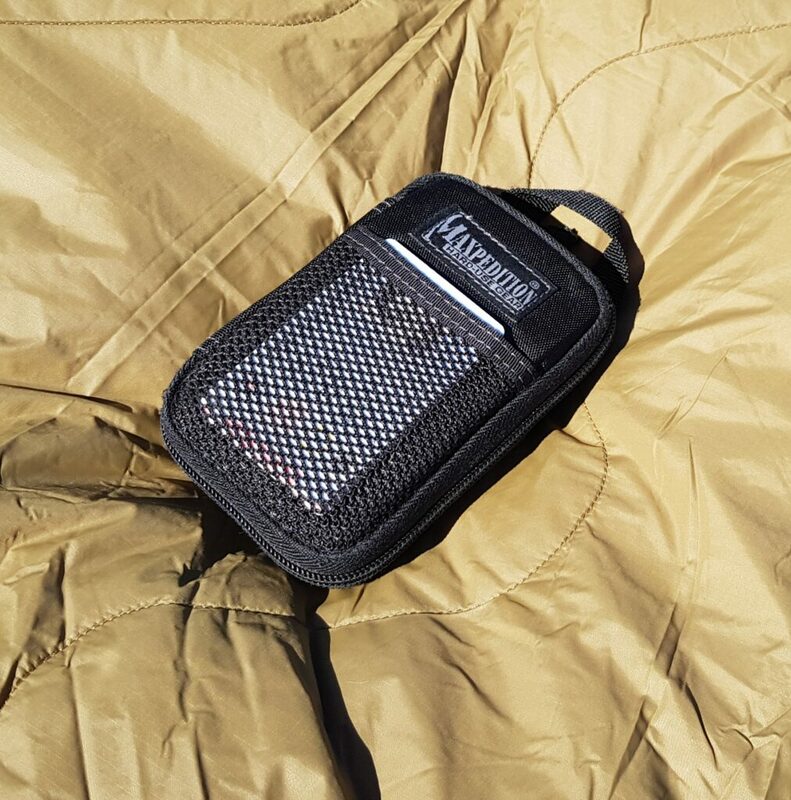 You can get yours from maxpedition.de or amazon. This pouch is small enough to fit into cargo pockets of most pants but big enough to hold all the essentials I want to carry. And it’s tough enough so I don’t have to worry about it when I throw it into a bigger bag or backpack together with other items. Where I carry it depends on the situation. I usually have a bag or backpack with me and this is where I put this pouch. When it’s not appropriate to carry a full size bag I move the pouch into the cargo pockets of my pants. When I don’t wear pants with cargo pockets I still have some other options I will discuss in later posts. Pen – fisher space pen. It will write whenever I need something to write and it’s really tough. Few things annoy me more than carrying gear around all time just to see that it fails when I finally need it. This won’t happen with this pen. I have several from various sources but you can get yours from amazon. Rangerbands: Cut up an old tyre of a bicycle or order yours from gearward. You don’t care about if the things you carry around are the best for the job but you just take what feels right for the day. This way doesn’t consume much time or energy for planning but most people will spend quite some money on new and fun things over and over again. My personal way of building my EDC kit is a hybrid approach which works best for me. I have a fixed set of things which have proven to fulfill my needs. I try to have this on me all the time. Even when I just take out the dog for a short walk around the block. I sometimes review and improve this kit but in fact it’s rather stable in its contents. But I love EDC stuff and tactical gear far too much to just be satisfied with having all the same things ever and ever again. So I add things I want to give a try or things which just are fun to have with me most of the time. This leaves me with some redundancy which is not that bad save for the extra space I need or the extra weight I’m carrying. Since I’m very ok with that this way has proven the right for me over the last years. I’ll show you details about this setup in upcoming posts but for now an overview should do. I always have a small first aid kit and a small pouch with useful things on me. 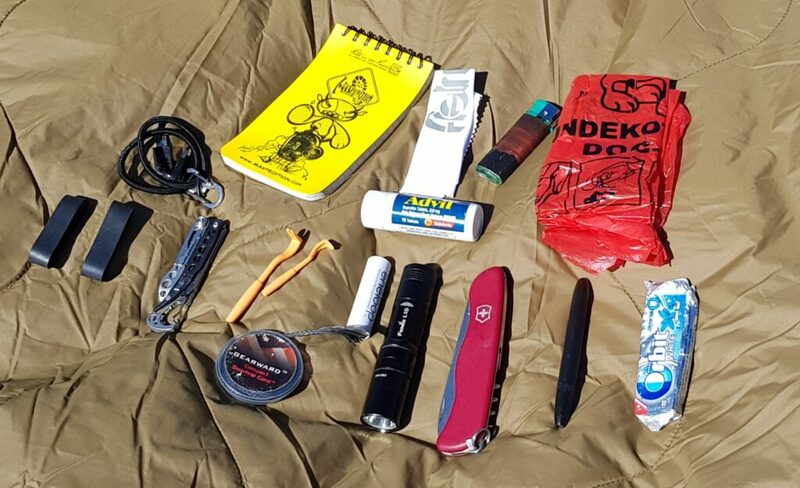 These include a small flashlight, a swiss army knife, a pen, tissues, dog poop bags and more. These two pouches find their place either in my cargo pants or a jacket or in a bigger bag I’m carrying. That’s the basic kit which I only review and change once in several months. Now comes the fun part. I always add things which I want to have with me, too. 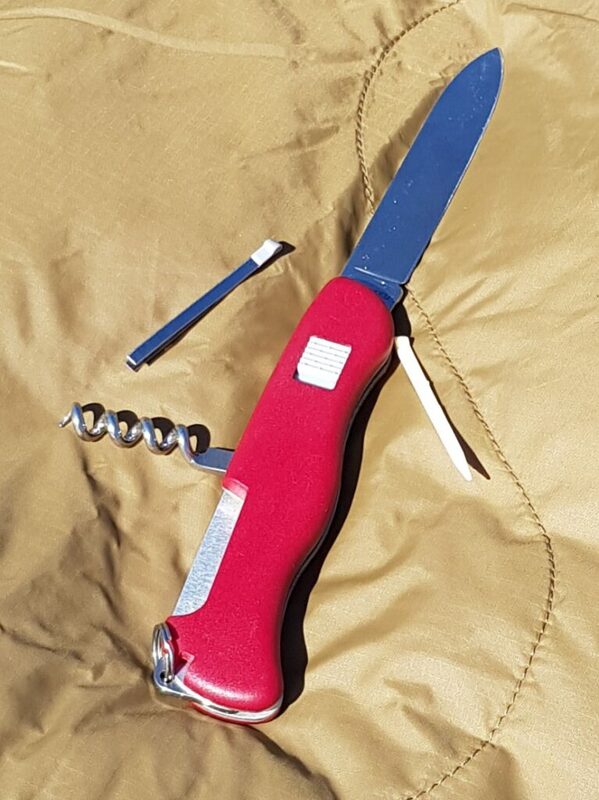 That’s always a knife (normally a lot bigger and more capable than a swiss army knife), some high power flashlight, a hank, some fancy bottle opener, a beard comb and so on. What exactly I choose is very dependent of what mood I’m in, what country I’ll be visiting (remember there are different laws about carrying knives in many countries) and so on. This way might not be the most practical in terms of weight and money but I always end up with a kit I know and really can rely on in the one hand and in the other hand I have things which spark a lot of joy. In the next posts you’ll learn about the details of this base kit. Later I’ll cover items which make up the fun part. EDC means “every day carry” so it’s basically about stuff you have on you most of the time. But why even bother about things you carry around anyway? There are are several reasons why people like to think and plan about their EDC. The reasons differ and they depend on what sort of stuff you count in. 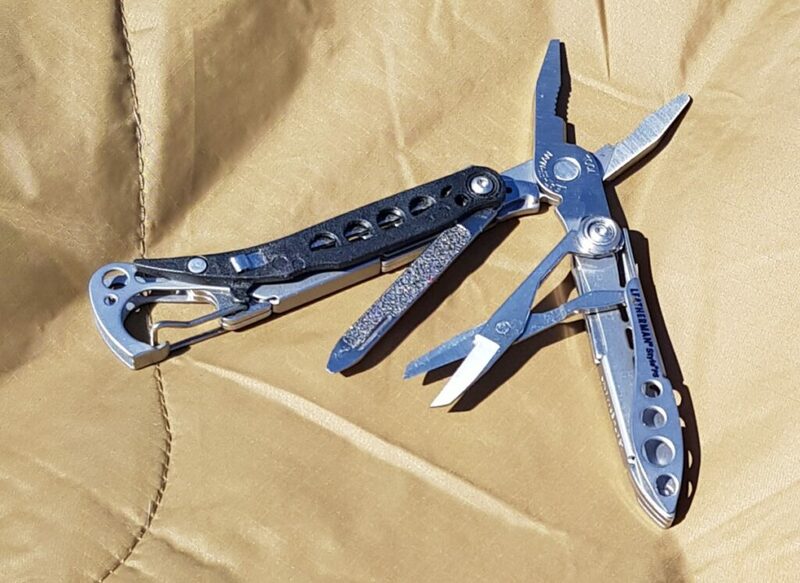 To me there are several categories of EDC gear. If you put all these categories in one pot you get a list of things which might come handy or important. But what ultimately makes things EDC-worthy is if they are useful enough so you don’t mind carrying them all the time. Useful can mean either it’s very likely that you will need them (your keys, tissue, a small bandaid) or it’s very helpful to have them even if you only need them once in your life (like a tourniquet you can use to stop the bleeding when someones limb got ripped off). This does not mean that you have to carry items from each of the categories above. Go for the ones that are really useful to you. In other words: Choose things which might be worth the extra weight and bulk in your pants or bag. 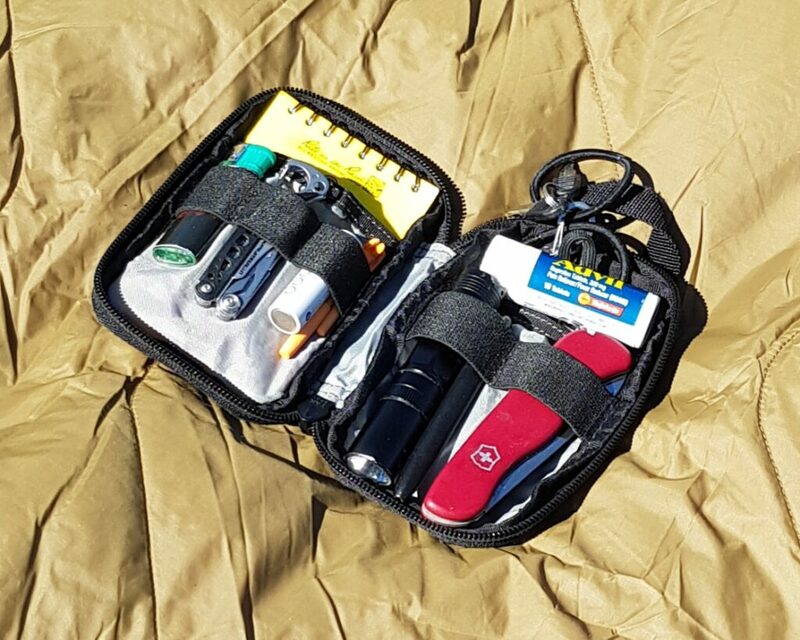 The reason why I want to dedicate quite a big part of this site to EDC gear is because I really believe you can benefit from thinking and planning about your kit. There are things you might want to have which are not as obviuos as others. And, first of all, it’s hobby that can be great fun besides being useful. There’s the “level” approach which splits your EDC in things you carry around all the time, things you have in your bag, things you have in your car and so on. An article at ITSTactical gives more insight. In recent years for some people EDC made a bit of a shift in meaning. Some people call EDC things that are nice to have and have at least some sort of theoretical use. The main focus is to show that you’re part of your community and that you like nice stuff. Examples are flashlights out of special materials like copper or titanium, hanks or bottle openers which resemble some funny animal and are made of brass or copper. Lots of people build their EDC kit once and go with it. There’s not much changing over the years. This has the benefit that you get used to your kit and really know how to use it if you need it. On the other hand there are enthusiasts who collect the bits and pieces that make EDC kits and change their setup once in a while. This may lead to optimization but most of all it’s fun. In the next upcoming posts I’ll show you my personal EDC setup and give some hints on building your own. 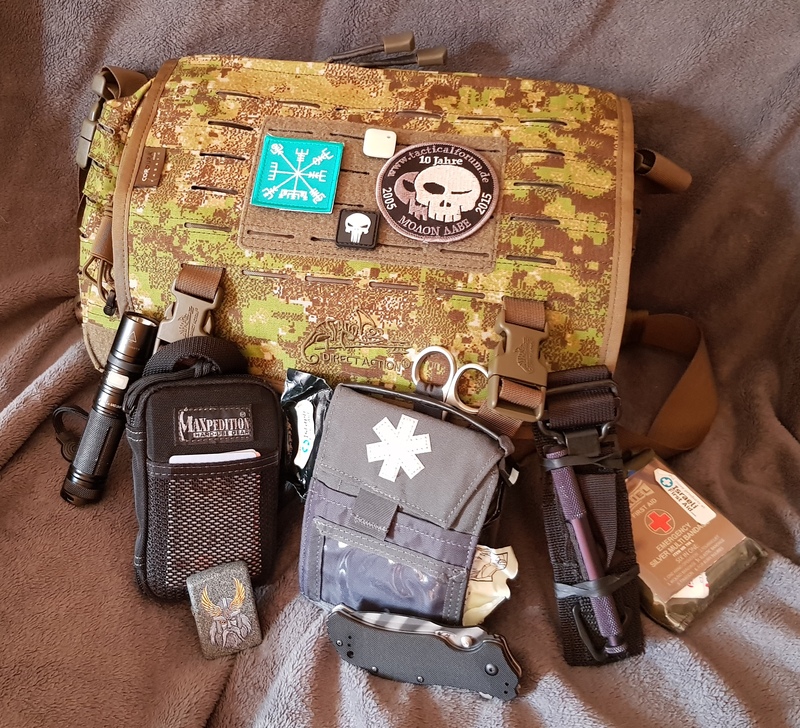 Posted bywidhalmt 2019-03-14 2019-04-19 Posted inEDC, First AidTags: edc, ifakLeave a comment on What is “EDC” gear?